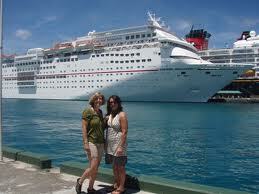 All the top Caribbean cruise lines offer cheap Bahamas cruises to the "hot" and popular ports of call of the Bahamas. Whether you prefer to sail with Carnival Cruise Lines, Royal Caribbean International, Norwegian Cruise Line, Disney Cruises, etc., you will often find discounted cruises to the Bahamas. Yes, the Bahamian islands are beautiful, but are also hot. Do you know the climate in the Bahamas? Due to their position in the tropics, the islands of the Bahamas remain hot all year-round. 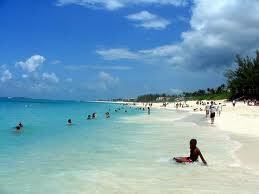 My family has visited Nassau during the U.S. winter and summer months and the Nassau weather was the same - hot! Some of the cruise lines' private islands - Coco Cay, Great Stirrup Cay, Castaway Cay and others, are even hotter during the summer. You literally feel the heat piercing your skin. Anyway, because of the warm Bahamas weather all year-round, you have tons of cruise choices to these islands. 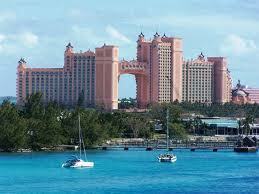 Hence, you will often find several cheap or reasonably priced Bahamas cruise packages during the year. 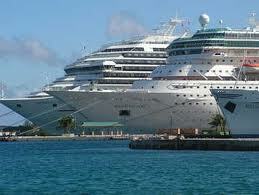 Above I noted some of the top cruise lines which sail to the Bahamas. You will be excited to know that all the major Caribbean cruise lines - Carnival Cruise Lines, Disney Cruises, Norwegian, and Royal Caribbean International, offer short and long Bahama cruise itineraries. Expect to find 3-day, 4-day, and 7-day cruises to the Bahamas throughout the year. With so many cruise offerings, you are bound to find cheap Bahamas cruises - cheap Royal Caribbean cruises, cheap Carnival cruises and cheap Norwegian cruises to the Bahamas. As far as Disney cruises go, while you will find a better rate at certain times of the year, their cruise rates remain relatively high compared to other Caribbean cruise lines. For example, you may find a 3-day or 4-day Bahamas cruise for less than $300 per person during the fall months (September thru November). A similar Disney cruise will cost about $700 or $800 per person. Let's move on. In order to find cheap family cruise deals, there are two things to know. If you really want to grab an inclusive Caribbean cruise to the Bahamas costing a reasonable buck, the best time to book is just a few weeks before your desired sail date. I know people who have found a 4-day Bahamas cruise for less than $200 per person during the summer months - the most expensive time to cruise - because they booked their cruise at the last minute. You cannot go wrong, if you book your family cruise for a fall getaway. The fall months which start in September, encompass a part of the Atlantic Hurricane Season, plus the kids are back in school. Consequently, cruise bookings are down and the cruise lines drop their cruise rates during the months of September through November. During the fall, you can find great family cruise deals such as: less than $300 per person for a 3-day or 4-day Bahamas cruise and less than $500 person for a 7-day Bahamas cruise. In addition to finding great inclusive cruise deals in the fall, you will also find deals in the winter. Cruise deals are available for sailings before the spring break period and between spring break and Memorial Day. Booking a cruise to the Bahamas is quite easy. Are you looking to sail to the Bahamas? Do you hope to find a great family cruise deal to the Bahamas? Follow my advice above and I guarantee that you will find cheap Bahamas cruises heading to top ports of call in the hot Bahamian islands.